Prison Bazaar: Buy Products made by Prisoners! 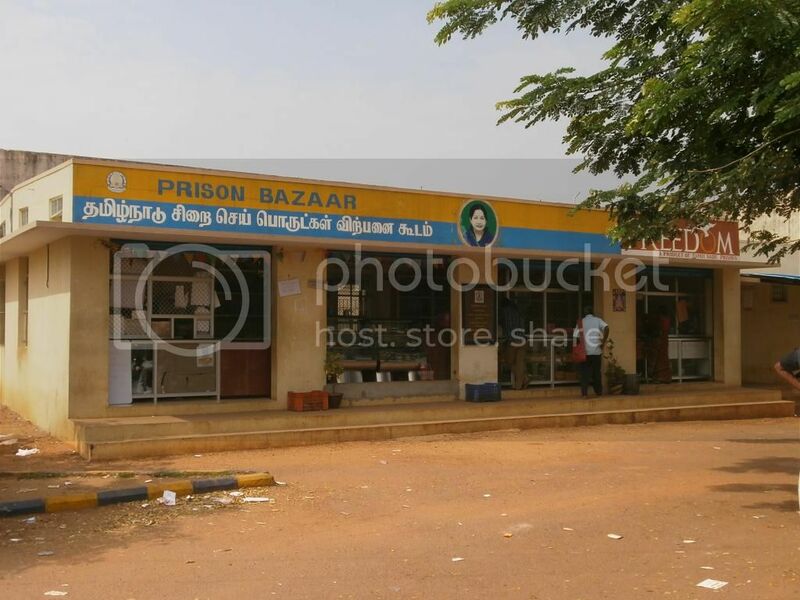 Prison Bazaars sell food items and other products manufactured by prisoners across Tamil Nadu. I went to the Prison Bazaar next to the Puzhal Central prison in Chennai to check out what’s in the offering. 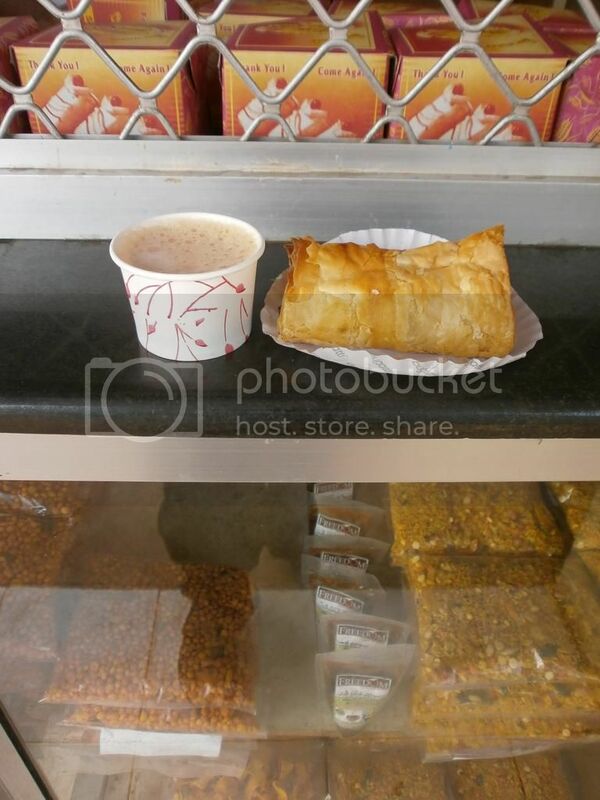 There is a bakery unit located at the Puzhal prison where prisoners manufacture biscuits, cakes, and other bakery items. 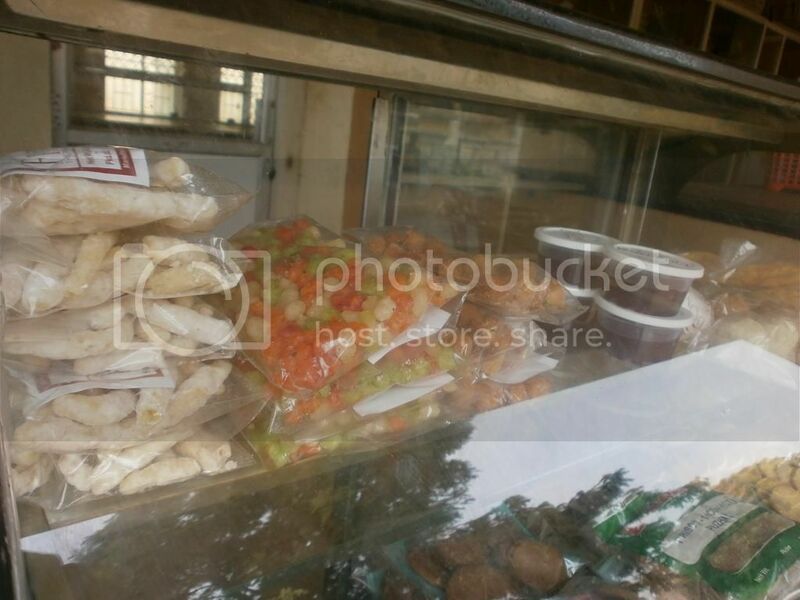 Other items like pickles, sweets, puffs, rusk, mixer, other confectioneries, shirts, bed-sheets, rain-coats, etc. are manufactured in prisons across TN and are distributed to Prison bazaars in Puzhal Prison, IG Prisons office – Egmore & Saidapet Prison (in Chennai). I was half-tempted to buy and eat this cake. But since I had a puff and tea, and was not hungry, I decided against it. I’ve been cursing myself since for not eating it – maybe I should go once again. However, I bought a few other items for home. Their products are sold under the ‘Freedom’ brand. Above shown are: Ompodi, coconut mixture, boondhi laddu, rava laddu, peanut biscuit. The taste is good – we almost finished everything. The price is reasonable and lesser than what we get outside. There are two police officers also in the shop – they told me that only fresh stocks are sold. 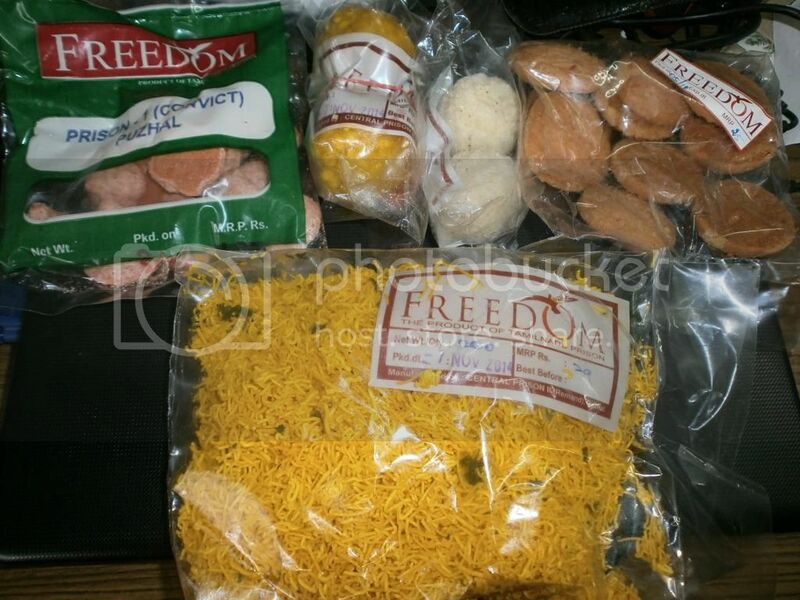 It seems people who visit prisoners are allowed to buy these products and give it to inmates inside. Public is allowed (and encouraged) to buy the products as it will support the efforts of the prison administration to make prisoners more productive, and teach them a skill or two which can be useful outside the prison too. So, if you go by these shops, why not buy something from Prison Bazaar and encourage their noble activity? I have bought similar products from Tihar Haat, which is a shop in Tihar Jail, New Delhi, that sells similar products. Plants, namkeens, muffins and rugs is what I usually buy. And I don’t care if someone makes a face to say – You eat those made by prisoners? Oh, good to know about Tihar Haat. And who cares who makes it, as long as the product is good and comes at a great price! is their production FSSAI certified. This is a good way to rehabilitate them. Everyone should encourage this by buying these products. Never knew prisoners did this! Very interesting. In Hyderabad, every year in the month of January we have an exhibition , Numaish, at the heart of the city. Various stalls from all over India have a place here. There is also a Prison Bazaar stall,where blankets, rugs ,towels etc are sold. We bought blankets and bedsheets,no eatables are sold there. I think making the prisoners learn something for their livelihood and selling it is a very good idea. Good to know that productive work and learning for the prisoners is happening in other states too. Well I never knew about this. We citizens should encourage such efforts because all prisoners are not born criminals. It is our duty to allow them a normal life. Yes, since they learn some skills while working in the prison, it maybe easier for them to adapt to life once they are back to the society. what a fantastic way to rehabilitate prisoners ! Loved reading about it ! Yes, it’s a good/productive thing for prison authorities to do. A good initiative to train them in new skills,keep them occupied and earn money for jail. Good you venture out to these places,not normally visited, to share with readers what you saw. If I know about such places I go. Do let me know if you are aware of such interesting places in/around Chennai. I loved the brand name the best of all. Freedom is what they must be waiting for, right? I have heard about these shops too, but haven’t got an opportunity to shop at one. Freedom is a strange word – it exists, but it doesn’t. I find this name ironic for prison bazaar! Maybe it’s an inspirational one. Definitely! 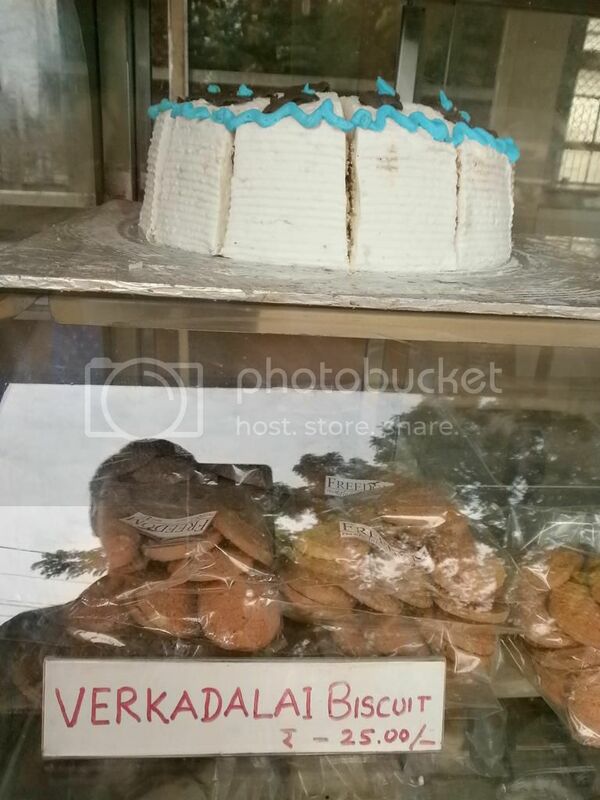 If I get to come across Puzhal, I will sure visit this shop and buy at least one or two. I know prison bazaar has opened but great they manage to make many items, fresh. 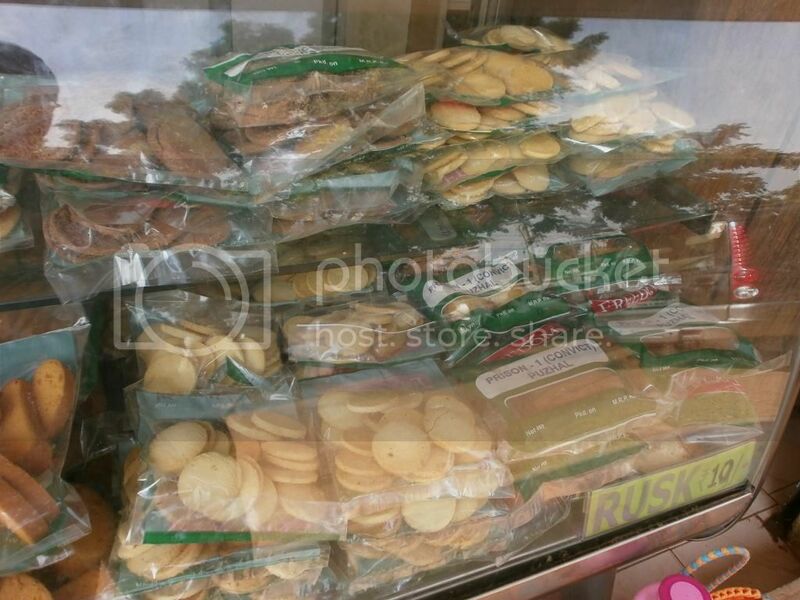 Buy coconut biscuits if you go there. That’s what we liked the most! Yes in many jails they do so. If possible visit the open jail also if there any. That’s a wonderful initiative and good that the inmates are doing something constructive. This may even help them when they come out of prison and start their life afresh! The cake looks good! Yes. You know what, the prisoners grow and eat their own organic vegetables while we are still eating chemical ones!! !